A finely proportioned non locking Monkeytail Fastener with its sweeping curves comes complete with a mortice and a hook plate. 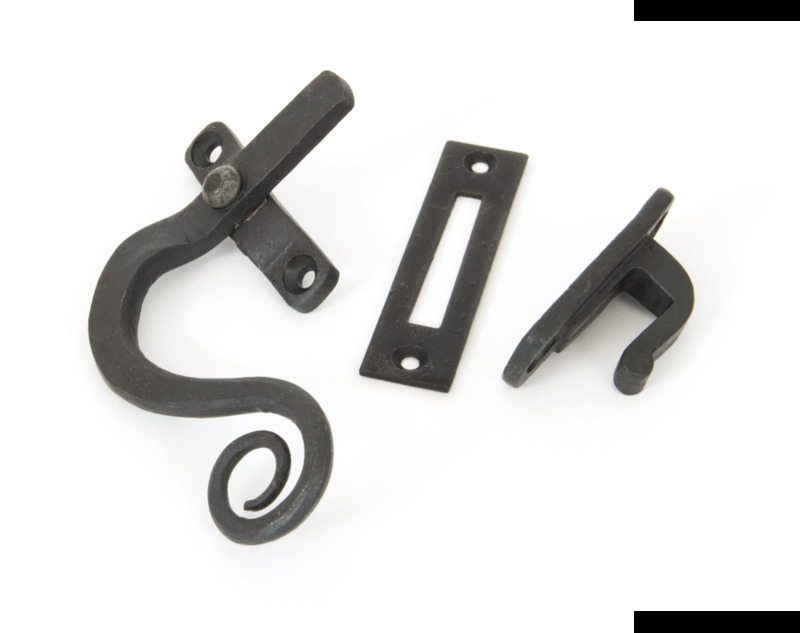 Fastener can be fitted to a narrower frame and looks very traditional with it's waxed finish. Also available in Right Handed version Supplied with necessary fixing screws.